This is the way to erase all data on HTC Wildfire S, such as Google Account, Contact, SMS, application and it settings. To erase all data including SD Card, please tick the Erase SD Card option. Be careful because it will erase anything including your data such as picture, music and everything. When will We Need to Factory Reset HTC Wildfire S ? HTC Wildfire S need to be hard reset to factory default when we can not access anything at this phone, or the phone going so slow or some unusual problem happen at our HTC Wildfire S. Please remember to always backup your data before doing Hard Reset. How to make HTC Wildfire S performance run faster ? 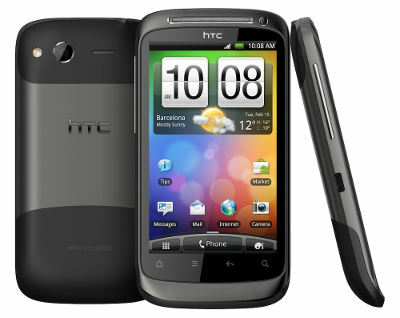 The specifications of HTC Wildfire S is not too high, therefore we recommend to install only important applications that we use everyday. In some problem, the user already uninstall or delete unused applications, but the performance still slow. The applications have some setting, the setting may make the HTC Wildfire S always run as backround or download or send data to internet or do other action that can make the processor work more. If you can not find the solutions, better you do hard reset. How to increase HTC Wildfire S Internal Memory Size to Avoid Internal Memory Full ? HTC Wildfire S have 512 MB memory, the size reduce for default Android data, so you may use about less then 200 MB. In normal usage, we can not increase internal memory. So you have to selective choose applications that you need to install from Google Play Store. In some case, although we only install little applications, and uninstall several applications, but the HTC Wildfire S still say Internal memory low, this is usually happen because the installed applications have to many cache or internal data, let’s say active Facebook or Chat Applications such as Whatsapp or Line or WeChat or something like that, after use for several week, the internal data will be increase because that applications save chat history and other important data. So you may need to delete the data to increase you internal memory. If you want to make it clean for all, you may consider doing hard reset to make it back to factory default. How to remove virus or spyware or malware from HTC Wildfire S? Some applications at Google Play Store is not always safe, it can be contain virus or spyware or malware. If you think that your HTC Wildfire S infected by virus, then you have to clean that virus with Antivirus applications that you can download from Google Play Store, but please remember only download the recommended antivirus base by many Reviewer and top rating. If you can not delete the virus or the HTC Wildfire already damage by that, then you have to do hard reset. The information from this page describe about htc wildfire s hard reset,hard reset htc wildfire s,htc wildfire hard reset,how to format htc wildfire s,how to hard reset HTC wildfire s,how to reset htc wildfire s,htc wildfire s reset,hard reset htc wildfire,how to reboot htc wildfire s,htc wildfire s factory reset. If you need another resource for hard reset, use search function at this homepage or find from our related posts. How to Easily Master Format NOKIA 7.1 PLUS (NOKIA X7) with Safety Hard Reset?